I dislike that word and its derivatives when they are used to describe race relations or gender relations, if that’s the right term. To tolerate a class of people is to put up with them when we’d rather not. And this documentary reinforces the fact that tolerating people because they were black or gay or disabled or distinguished in some other way was precisely what Fred Rogers did not do. He accepted people as they were and, what’s more important, he taught children to do that by explicitly extending that courtesy to them. Mr. Rogers, we learn in this presentation, was an overweight child who took some abuse from his peers. Having been belittled in that way, he made a career of promoting in the minds of children that, regardless of their individual circumstances, each one of them was of value—not in spite of but because of the fact that each one was unique. I’m not sure it was made clear in the movie, but the demonstration scene seems to depict the followers of the crazed Kansas minister Fred Phelps making a nuisance of themselves during a memorial service in Mr. Rogers’ honor. Phelps hated everything about Rogers. We learn in the documentary that Fred Rogers’ attitude toward gay people evolved in a way that was dramatized by his relationship with a prominent member of the cast of his television series. This was François Clemmons, who played a policeman in Mr. Rogers’ Neighborhood for 25 years. This casting was groundbreaking in itself; Clemmons was one of the first black performers to have a recurring role on a children’s television show. And he was presented as an authority figure who was beloved in the neighborhood and a close friend of Mr. Rogers. The documentary includes a scene in which Mr. Rogers was cooling his feet in a plastic pool of water and invited Officer Clemmons to join him. When the camera zoomed in on the black feet and the white feet next to each other in that pool—at a time in our history when black swimmers were unwelcome in many pools—no words were necessary to convey the message. Clemmons, who is a distinguished singer and university lecturer, is gay. He explains, without rancor, in the documentary that Fred Rogers—aware of the conservative mindset of corporate supporters and of the parents of many children who watched the show—advised him to stop visiting a gay nightclub and in general to keep his gender identity under wraps. Rogers went so far as to recommend that Clemmons marry—a step that Clemmons actually took with predictable results. But that was in the 1960s, and Clemmons, who says he regarded Rogers as his “surrogate father,” understood or, at least, rationalized the logic of the time—if Clemmons came out as gay, there would have been powerful pushback that Rogers was not prepared to resist. 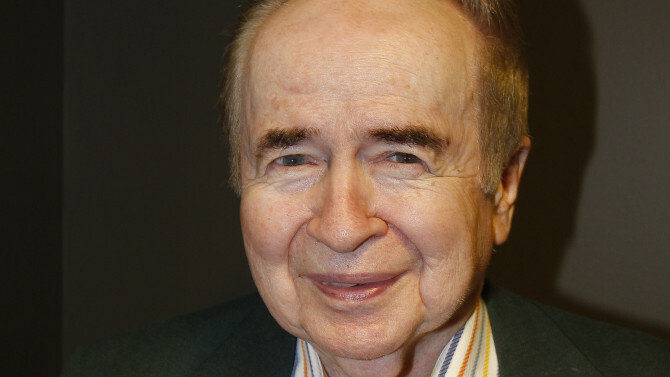 Clemmons’ decision to continue on the show had to do with both his personal relationship with Rogers, which was deeply sympathetic and spiritual, and with Clemmons’ assessment of what was the best course for a gay performer at that moment in history. It’s easy to pass judgment on a person in that situation—as long as the person isn’t you. 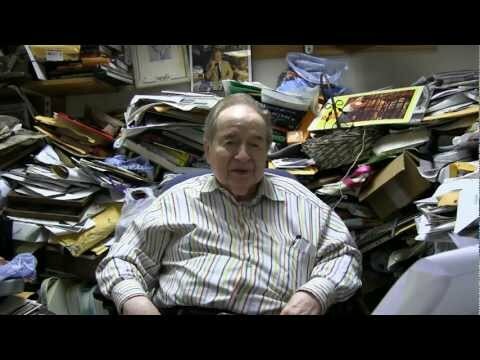 There is more to Clemmons’ story than this documentary could explore, but he talks about it in more detail in an article in Vanity Fair currently available at THIS LINK. Fred Rogers’ wife, Joanne, says in the documentary that her husband eventually “came around” with respect to homosexuality; Clemmons, who is a prominent figure in the movie, certainly seems to be satisfied on that score. This documentary has received nearly universal praise, but not only because it is a portrait of a beloved public figure and an important influence on two generations of children. The film is also praiseworthy because it presents Fred Rogers with no filter on the lens, as a man who had his doubts and disappointments—a radical whose radicalism knew its boundaries. Make no mistake: he was an extraordinary human being, but he wasn’t perfect, and we have no right to expect that of him. In fact, it was from Fred Rogers that we learned to love him just as he was. The season-ending episode of the British television series “Victoria” gave us a glimpse of Edward Oxford, the first of eight people who attempted to assassinate the British queen who reigned from 1837 to 1901. We last see the young man in a straitjacket, which is giving Oxford short shrift. The incident occurred in 1840, substantially as it was presented in the television show. Victoria and her husband, Albert, were taking their customary carriage outing, accompanied only by two outriders, when Oxford, who was 18 years old, fired a pistol at them. Neither royal was injured, and it turned out that there was only powder in the weapon. A baby-faced Oxford appears at his trial. Oxford, who later said he fired at the queen only to draw attention to himself, had been accumulating weapons and ammunition and noodling around with a fictional military society. He was adjudged insane and sent first to the State Criminal Lunatic Asylum in Bethlem, Southwark, and then to Broadmoor Hospital in Berkshire. Victoria was portrayed in the television program as accepting the decision of the jury, but in actual fact she maintained that if Oxford had hanged, the later attempts on her life might not have happened. The series has been renewed for a second season, so maybe that aspect of the story will come out. Oxford made the most of his time within the walls. He learned to draw, play the violin, and speak several languages, and he made himself useful as a painter and decorator. He was also known for his exceptional skill at chess and checkers. He was eventually declared sane and released on the condition that he live somewhere in the British Empire other than England. Oxford went to Melbourne in southern Australia, where he adopted the name John Freeman, found employment as a house painter, and joined the West Melbourne Mutual Improvement Society. In 1881, he got married to a widow who had two children. He became a lay official at St. Paul’s Anglican Cathedral, and he wrote articles for a newspaper, The Argus, about the city’s slums, markets, and racetracks. These articles provided the material for a book published in 1888, Lights and Shadows of Melbourne Life. John Freeman, or John Oxford–both, really–died in 1900. Madonna, Beyonce, Cher, Adele, Prince, Sting, Bono, Liberace. Using only one name has been an effective marketing device for a lot of entertainers, and for none more effectively than for Johnny. When I was a young boy, my mother told me that my father had been at some public event the previous night, and that had met Johnny. She didn’t have to say his last name—none of us knew his last name; I knew immediately that she meant the diminutive bellboy who pitched Phillip Morris cigarettes. 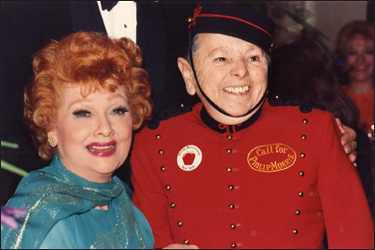 On radio, on television, in print ads, and in public appearances, Johnny was one of the most familiar figures of his time, with his snappy uniform, his tray with the written message on it, and his high pitched announcement: “Call … for … Phillip Mahr-rayss.” That’s how he pronounced it, as you can hear at the beginning of this Lucy and Desi ad. Johnny, who was born in Brooklyn in 1910, was forty-seven inches tall as an adult and weighed about 59 pounds. He was employed in the 1930s as a bellboy at the New Yorker Hotel in Manhattan in an era when hotel lobbies were elaborate gathering places. Uniformed bellboys were fixtures in these spaces, often calling out the names of persons for whom there were inquiries or telephone or written messages. The New Yorker used Johnny’s size as a promotional gimmick. Johnny came to the attention of Milton Blow, whose advertising agency had the Phillip Morris account. 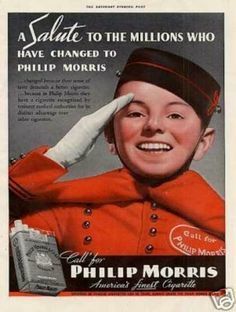 Blow brought a Phillip Morris executive to the lobby to watch Johnny in action and, according to Roventini, asked Johnny to page “Phillip Morris.” If that story is true, no one answered the page, but the impromptu audition launched the young man into what turned out to be a lucrative, forty-year career as the public image of the Phillip Morris brand. He also became one of the most recognizable celebrities of his time and was welcome in the company of everyone from Marlene Dietrich to Dwight Eisenhower. 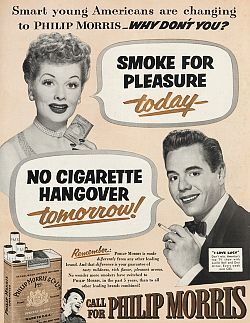 Johnny Roventini’s fame was advanced significantly when Phillip Morris agreed in 1951 to sponsor the television series I Love Lucy, a show that was shunned by advertisers who in those times were afraid of the public reaction to a marriage between a Cuban man and an American woman. Roventini became personally attached to Lucille Ball and Desi Arnaz, and he and the sponsor stood by Ball after news reports that the House Un-American Activities Committee was investigating charges that Ball had Communist connections. I have never smoked a cigarette, but I grew up in an era in which smoking and cigarette advertising were pervasive. People of my age will remember the campaigns—”LSMFT” (“Lucky Strike Means Fine Tobacco”), “Pall Mall (pronounced ‘pell mell’). Outstanding—and they are mild!” And the campaign that drove English teachers to distraction, “Winston tastes good, like a cigarette should.” But no tobacco campaign had Johnny’s personality. After public awareness of the lethal effects of smoking led to a federal ban on broadcast cigarette advertising in 1970, Johnny continued to make public appearances on behalf of the brand until 1974. He died in 1988. When a young new colleague arrived at my workplace, his name caught my attention. His first name is Sterling. He is the second person of that name that I’ve worked with, but the first instance goes back at least 35 years. Sterling is not a name I associate with men in their twenties. However, I checked on a web site that tracks the frequency of male names, and I found that Sterling has been making a comeback. Its popularity peaked in the 1890s when it ranked 388th out of 1,000 boys’ names. It went into a steady decline after that until the 1960s, when it ranked 497th. Then it had a resurgence and was 512th in the 1980s. Then there was a precipitous drop to 872nd place by 2008, and then a very sharp revival that carried it to 684th place in 2012 — the last year for which figures are available. To put these rankings in real terms, when the name Sterling was at its peak of popularity just before the turn of the 20th century, it was pinned on about 122 of every million babies born. 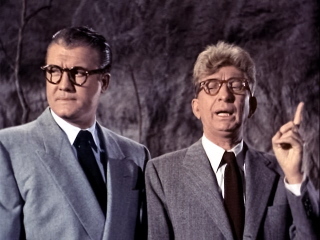 There were two well-known actors named Sterling. One was Sterling Hayden whose career stretched from 1941 to 1982. 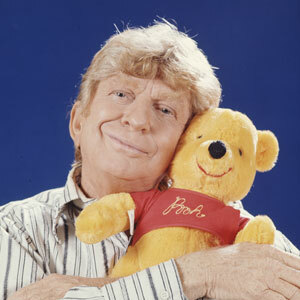 My new co-worker’s full name is very similar to that of the second actor, Sterling Holloway. He was named after his father, Sterling Price Holloway, who ran a grocery store in Cedartown, in northwestern Georgia, and served as mayor there in 1912. He in turn was named after Sterling Price, a lawyer and slave-holding tobacco planter in Missouri. He served as governor of the state from 1853 to 1857 and as a member of Congress. 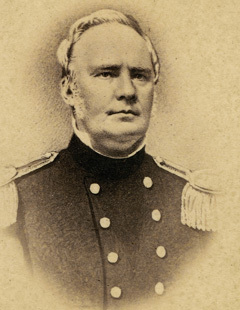 Price was a brigadier general in the U.S. Army during the Mexican War and a Confederate Army major general during the Civil War. I gather he was much more successful in the first war than in the latter. After the Civil War, he led his troops into Mexico and was rebuffed when he tried to enlist in the service of the colonial Emperor Maximillian. 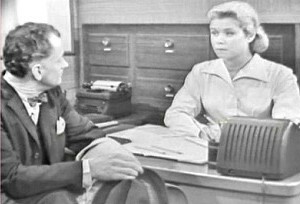 That episode inspired the 1969 movie “The Undefeated” which starred John Wayne and Rock Hudson. But I digress. 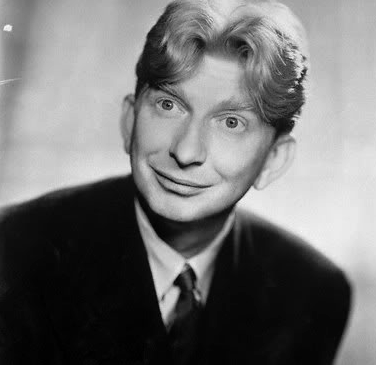 I first became aware of Sterling Holloway when he had a recurring role as Waldo Binney, the next-door neighbor to Chester A. Riley and his family in the television series “The Life of Riley.” Holloway had an odd voice and an unconventional appearance, and Waldo Binney was a quirky character, so he quickly became a favorite of mine. 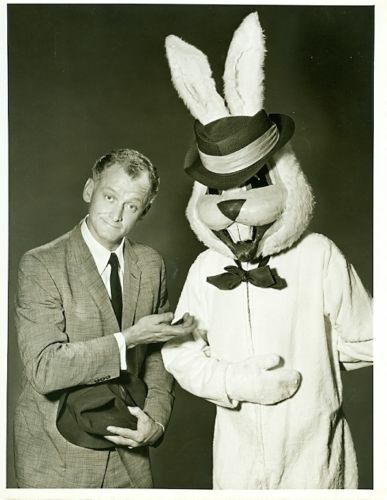 I didn’t know when he appeared in “The Life of Riley” in 1953-1956 that he had been a professional actor since 1926, when he appeared in a silent film called “The Battling Kangaroo.” He eventually performed either on screen or as a voice actor in at least 177 film and television properties as well as commercials, stage productions, radio shows, and recordings. In 1975 he shared a Grammy Award for the best recording for children, “Winnie-the-Pooh and Tigger Too.” Working for Walt Disney Studios, he lent his high-pitched voice to Mr. Stork in “Dumbo,” Adult Flower in “Bambi,” the Cheshire Cat in “Alice in Wonderland,” Kaa in “The Jungle Book,” Roquefort in “The Aristocats,” and Winnie-the-Pooh in several films, TV shows, and recordings. Holloway’s off-beat voice lent itself very well to certain kinds of songs, and he introduced two standards — “I’ll Take Manhattan” and “Mountain Greenery” — while he was appearing on Broadway in “Garrick Gaieties,” a revue by Richard Rodgers and Lorenz Hart, in 1925 and 1926. 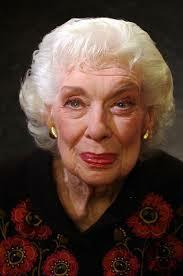 You can see Holloway’s touching performance of the song “The End of a Perfect Day” in the 1940 film “Remember the Night” by clicking HERE. The song was written in 1909 by Carrie Jacobs-Bond. I understand NBC owns the rights to this film. You can hear Holloway’s voice-over in a Peter Pan Peanut Butter commercial from the 1950s by clicking HERE. 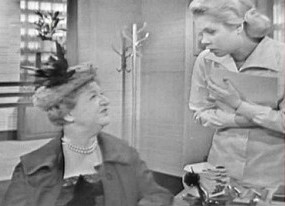 My wife and I were staying at a hotel in Warsaw a couple of decades ago when we happened to catch on TV a series called “Miodowe lata,” which, I’m told, means “The Honeymoon Years.” The scenes were in contemporary Warsaw and the series was shot in color, but something about it looked familiar. 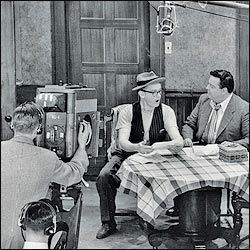 We’re not conversant in Polish, but when we had watched the episode long enough, we realized that the actors were performing the episode of “The Honeymooners” in which Ralph becomes the janitor in the apartment building. The lead character, whose name in the series is Karol Krawczyk, is a conductor on a trolley in Warsaw. His neighbor is Tadeusz Norek. 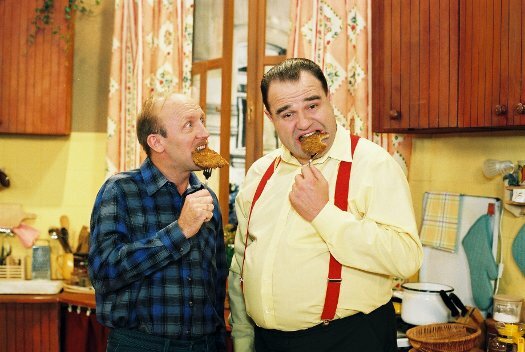 I learned later that the series was produced from 1998 until at least 2004 by the Polish broadcast network Polsat. We wondered as we watched the episode whether the producers had sought permission to use that story line, but as the credits rolled we saw the Viacom logo, which seemed to answer the question. According to an article in “Variety,” the first episode of “Miodowe kata” in 1998 attracted an estimated 40 percent of the viewing audience. The average share for Polsat shows at the time was in the range of 17 to 25 percent. 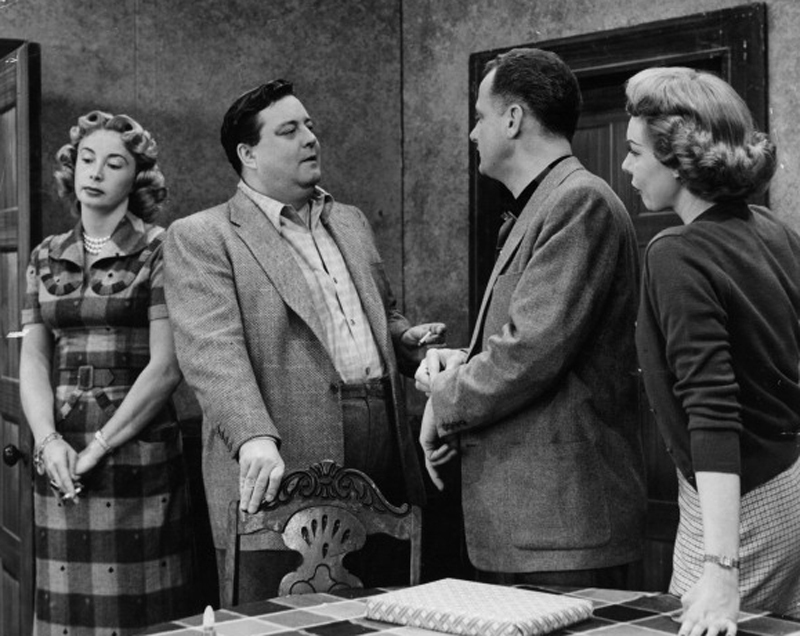 There also have been versions of “The Honeymooners” in Indonesia, Canada, the Netherlands, and Sweden. There’s a whole episode of “Miodowe kata” at the link below, and there are more available on YouTube.